Q Squared NYC will release a new unbreakable drinkware collection, Aurora. 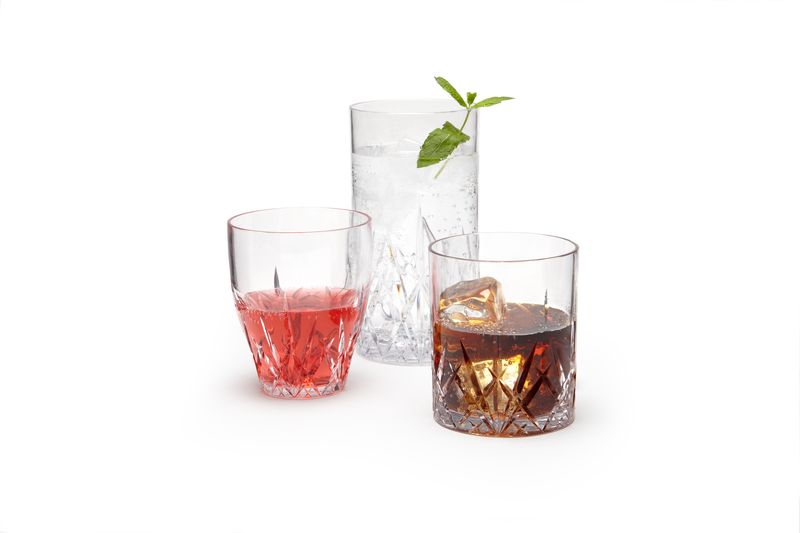 The crystal-cut inspired drinkware features a stemless wine glass, DOF tumbler and highball tumbler in clear and three splendid jewel-tone colors. Q Squared NYC is known for being the pioneer in luxury melamine boasting the appearance of fine porcelain and ceramic. Founded by mother-daughter team, Nancy Young Mosny and Alaina Young, Q Squared NYC has risen in popularity and has become best known for its signature textured whiteware and range of designs. This summer marks Q Squared NYC’s biggest introduction into a new category since 2011. "Creating a well-designed collection of unbreakable drinkware was the next logical step for Q Squared NYC,” said Shannon McAlpine, Vice President of Sales for Q Squared NYC. 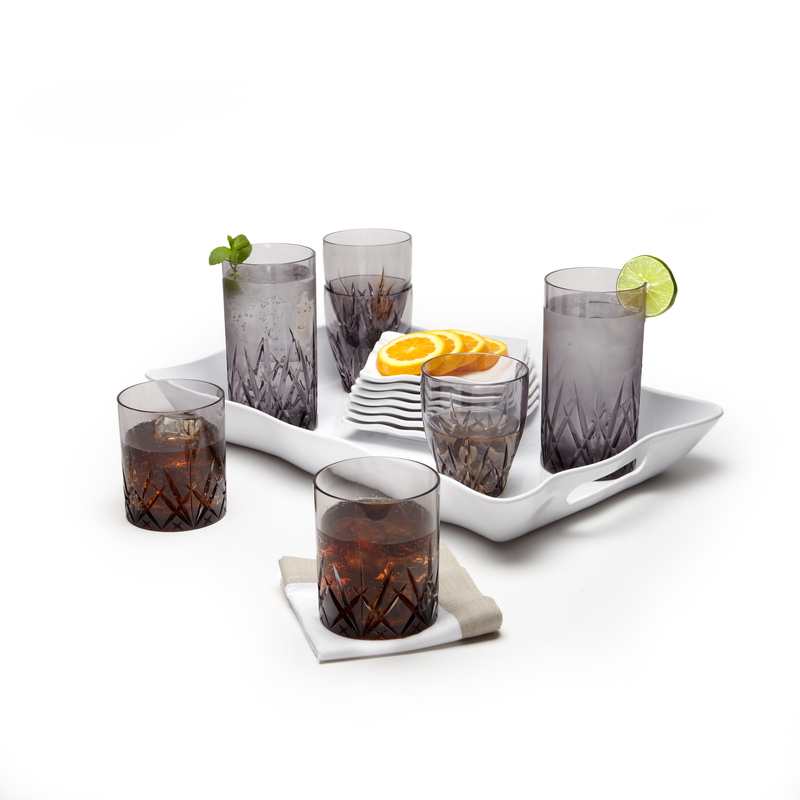 “Our customers expressed the need for a drinkware option on par with our melamine tableware, and we are excited to now offer elegant and unbreakable drinkware suitable for everyday indoor and outdoor use." 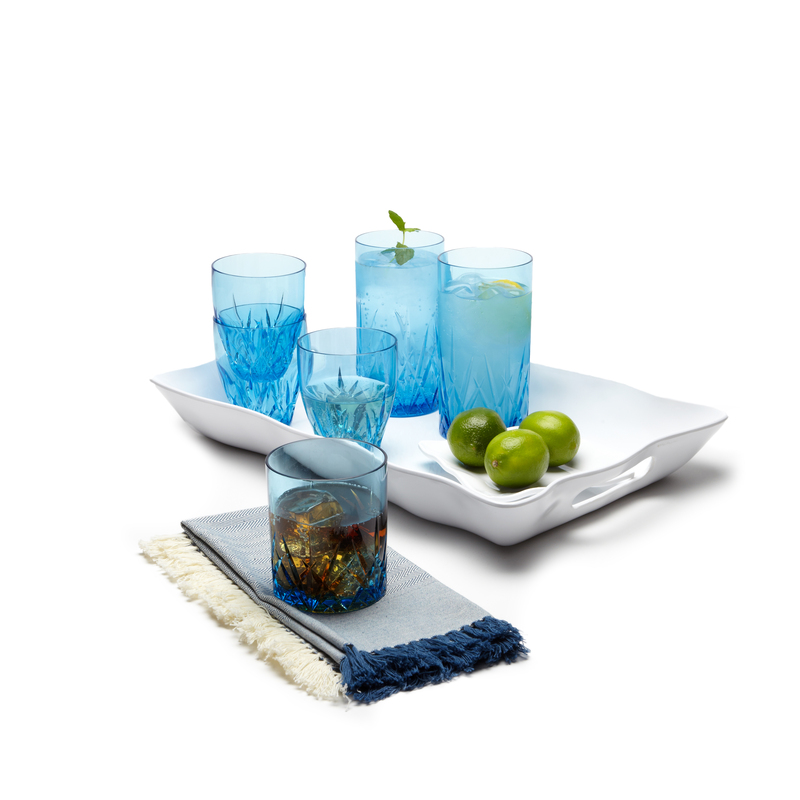 The Aurora Collection resembles the look of crystal, but is break-resistant, BPA-free and dishwasher safe. Made with 100% Tritan, the Aurora glasses are durable with heavy gauge sidewalls and bases offered in four colors — Crystal, Topaz, Ruby and Twilight. The Aurora Collection will make its official launch at NY NOW, August 21st-24th, and will become available September 2016 for retail. Visit qsquarednyc.com for more news and details about the new collection. Founded by a mother-daughter team in 2011, Q Squared NYC has become a pioneer of luxury melamine. 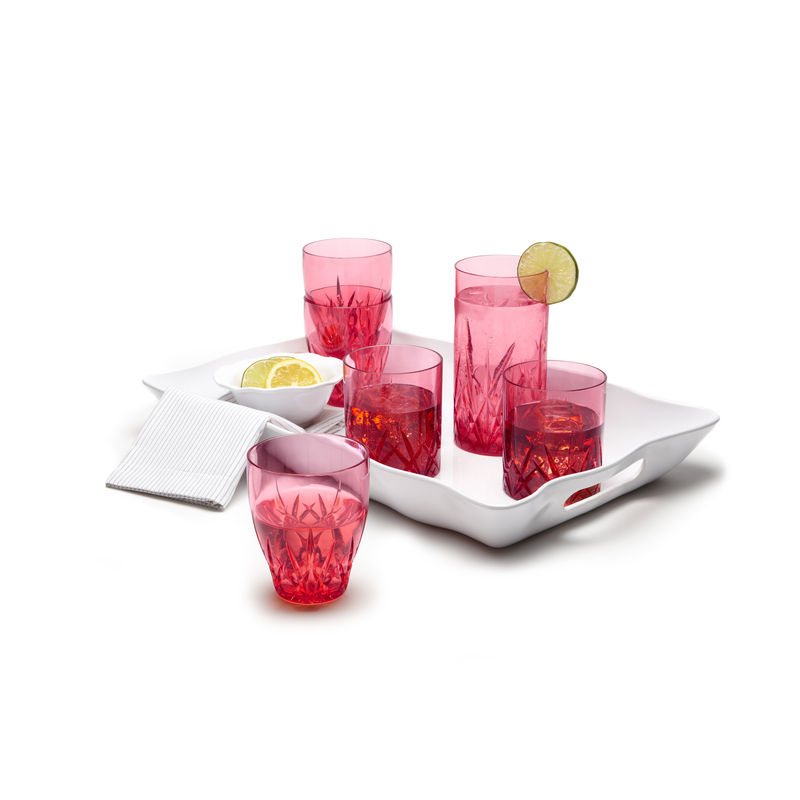 Its products are made from 100% melamine and are BPA-free, hand-polished and hospitality-grade. Q Squared’s unique designs and superior quality have been recognized by numerous publications such as Vanity Fair, InStyle, Better Homes and Gardens, HGTV Magazine, Hamptons Magazine and MarthaStewart.com and has received NY NOW's "Best of Home" Award in 2015.